Real Madrid succumbed to a 2-0 defeat imposed by Atletico Madrid this Wednesday night, at the first leg of the Copa del Rey's round-of-16. In a match where Cristiano Ronaldo was left on the bench roughly until the 63rd minute of the game, the hosts found their way to victory thanks to goals from Raúl Garcia and José Giménez. While the wall seems to be burning down in Barcelona, back in Madrid it was all eyes on the pitch as yet another derby day was upon us, this time in the Copa Del Rey. 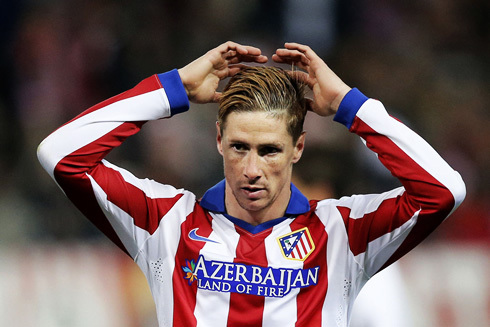 For Atletico fans it was an emotional one, especially having the official return of their prodigal son Fernando Torres right on the starting lineup. For Real Madrid the story was a bit different, after two straight losses many wondered if they could right the ship. Both teams named changed squads. 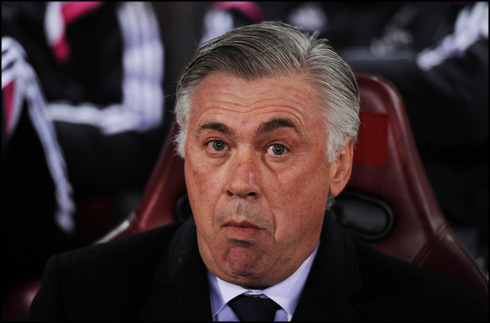 Atletico Madrid rested Koke and Arda Turan, while Ancelotti made a few changes to the Madrid lineup. 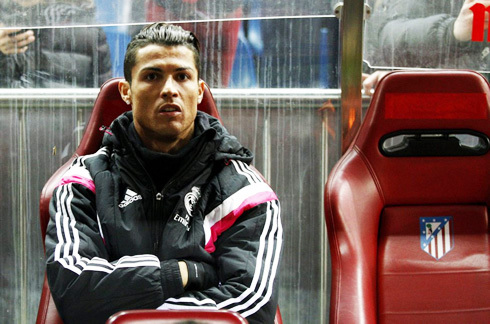 The biggest absentee was of course Cristiano Ronaldo. Likely a precaution, he was rested with knee injury as Ancelotti opted not to risk it, especially with the second leg still to go. 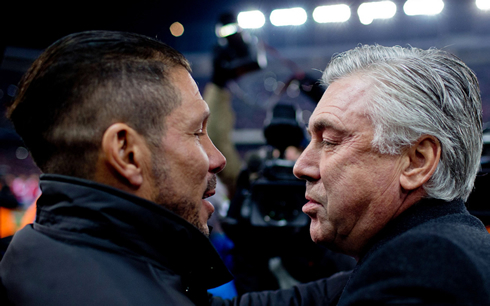 At a vibrant Vicente Calderón, Real Madrid got off to an excellent start. Early pressure led to a corner and the usual suspect Sergio Ramos leaped over Raúl Garcia to put a powerful header on goal. Unfortunately, an excellent save from Jan Oblak proved to be enough to deter the Spanish centerback. The rest of the half would see Real Madrid controlling the game, but unable to break down the always disciplined Atletico defense. The Colchoneros had chances of their own, though they were few and far between. An error from Raphael Varane sent his countryman Antoine Grizemann through on goal, but an excellent recovery from the young defender was enough to save his blushes. In the second half, Real Madrid came out looking to score. James Rodriguez found himself free in the box, but couldn't turn inside to get around the in-form Atletico goalkeeper, Jan Oblak. However, the game would take a significant pivot in the 58th minute, when Sergio Ramos tussled with Raúl Garcia in the box, eventually pulling down the Atletico man. It was another silly foul from Ramos, who still despite all his experience, seems to remain prone to momentary lapses in concentration. The hosts picked up the first lead, as Raúl Garcia made no mistake putting the ball to the left of an outstretched Keylor Navas. Real Madrid would attempt to fight back throwing on Cristiano Ronaldo in the hopes of tying the game up, but Atletico would put the nail in the coffin in the second half, from yet another set piece. It all happened when the youngster José Giménez rose majestically to place a header into the back of Navas' net, around the 76th minute. Atletico Madrid's defense would hold firm, and Real Madrid seemed completely devoid of ideas up top. In fact, the match resembled every single match between the two in recent years, with the Merengues dominating possession while Atletico just seated back and took their chances when they presented themselves. Attackers: Gareth Bale, Karim Benzema. Cristiano Ronaldo next game will be a Spanish League fixture against Espanyol, on the 10th of January of 2015. You can watch Juventus live stream, Real Madrid vs Espanyol, Barcelona vs Elche, Everton vs Man City, Chelsea vs Newcastle, and Crystal Palace vs Tottenham, all matches provided from our live football streaming game pages.